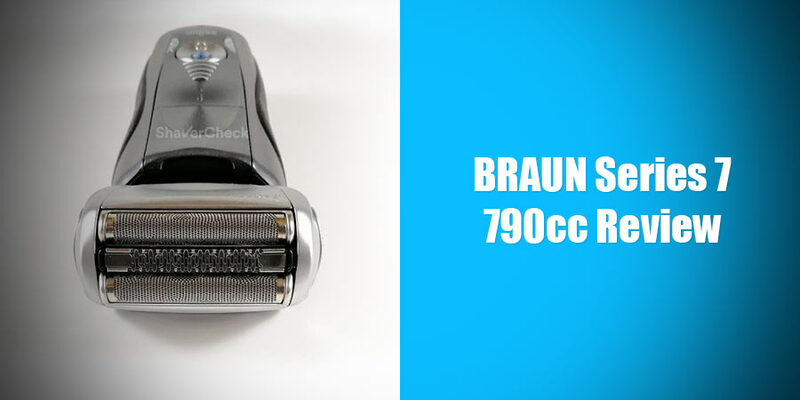 The Braun Series 7 790cc is one of the most popular, technology-packed and acclaimed electric shavers of all time. Launched back in 2010, it has received rave reviews for being able to provide close and supremely comfortable shaves. The performance of the 790cc made it ubiquitous in pretty much every list of the best shavers, often being regarded as the benchmark for comfort and closeness. 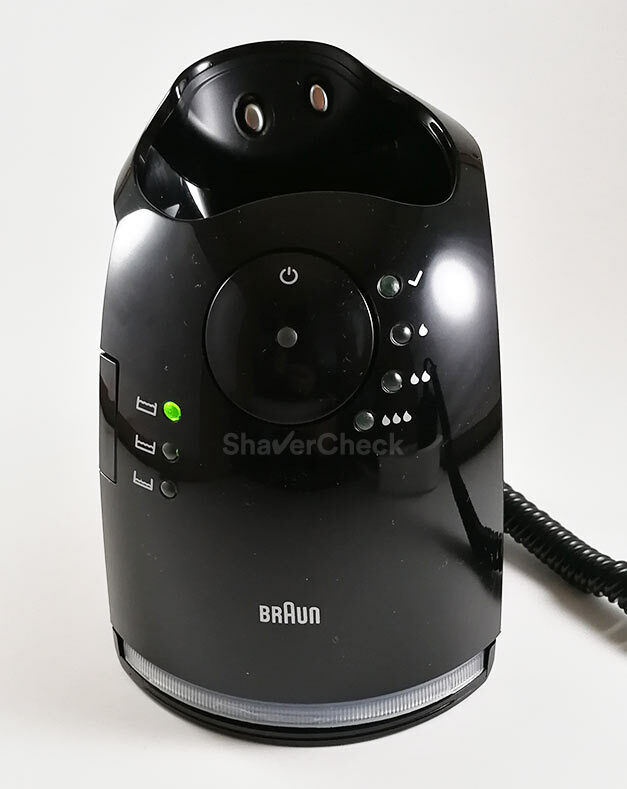 Read along to get the whole story in our in-depth Braun Series 7 790cc review where we take a close look at the pros and cons of this iconic shaver. There’s a lot of marketing terminology in the specs sheet that doesn’t necessarily mean anything specific, so here is a breakdown of the most important features. One of the main features of Braun’s top of the line shavers is the ability to supposedly capture more hairs by using microvibrations. Basically, the motor makes the foils vibrate and thus more stray hairs are fed into the specialized cutters. In the Performance section we take a closer look at this and see how well it really works. Hairs that lie flat on the surface of the skin tend to always be a problem for most electric razors. In an effort to address this shortcoming, Braun came up with a special design of one of the three cutting elements. Precisely, the middle trimmer. The middle cutter oscillates sideways and lifts the hairs lying flat, then cuts them to a manageable size for the other two foils. You can see the ActiveLift system in action in this video. 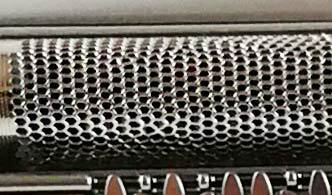 As it’s the case with most of its other shavers, Braun opted for an unusual shape of the perforations in the foil. As a result, they have a hexagonal shape and should allegedly be more efficient at capturing hairs than the more common round ones. Here you can see a more detailed animation. As you already know, Braun opted for a 3 blade cutting system for the 790cc; the blades can be depressed independently and the movement is buttery smooth, ensuring excellent contact with the skin. Also, the range of motion of the three cutters is the longest I’ve seen on any foil shaver, including Braun’s top of the line Series 9. Again, this contributes to the Series 7 being one of the best foil shavers when it comes to the shaving head staying in contact with the skin. Almost all top of the line shavers from different manufacturers feature a flexible shaving head that can follow the contours of your face. The 790cc is no exception and allows up and down pivoting of the shaving head and can also be locked into place by a switch located on the side. It’s a very simple system, but very effective and I actually prefer it to the wobbly heads of other foil shavers. 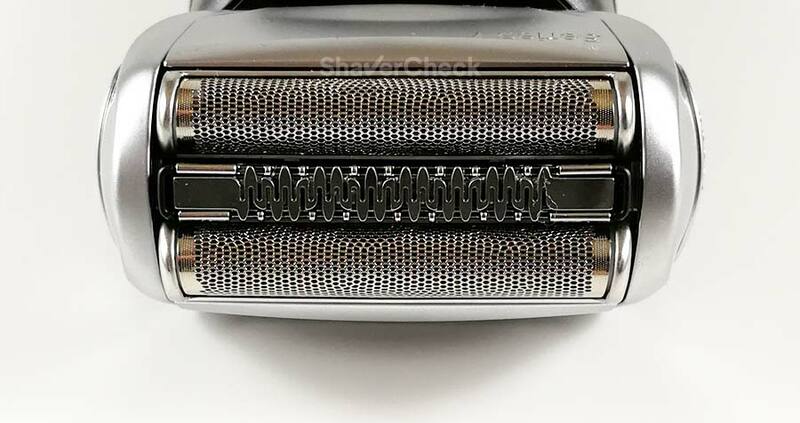 A unique feature of this razor is the ability to select one of the three modes that best suit your skin and technique, from Extra Sensitive to Intense. In theory, men with a coarse, tough beard will use the Intensive operating mode, while the Extra Sensitive setting can be very effective for users with sensitive skin that is prone to irritations. You can of course use different settings for shaving different areas of your face. Switching between the different modes is done by pressing one of the two buttons located on the sides of the ON/OFF switch. We’ll see later on in the review if these settings do make a difference in real-world use. 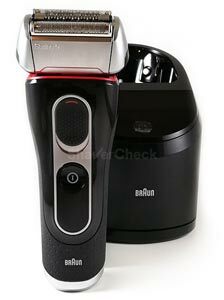 Throughout the years, Braun has pretty much set the standards in terms of build quality, especially with its top of the line shavers. As expected, the Series 7 790cc doesn’t disappoint and impresses with solid construction and good ergonomics. While its design is rather lackluster and a bit dated, the build quality is very good, with no cracking noises or flimsy materials. As far as ergonomics go, it strikes a nice balance of weight and shape, with grippy rubber on the sides and back. The shaver body is quite bulky and it doesn’t taper nor is it sculped so you can better wrap your hand around it, but despite these, it’s still very comfortable to hold. One potential problem that is well known in the electric shaving community is the locking mechanism of the shaving head. When locked in place, the mechanism can simply break if you apply excessive pressure on the shaving head. This issue was completely addressed with the newer Series 5 and Series 9, but it still exists on the current Series 7, so definitely keep this in mind. With a fully charged battery, you can expect up to 50 minutes of use from the 790cc. Charging it takes approximately one hour, with the option of a 5 minutes quick charge that should provide enough juice for one complete shaving session. Charging begins automatically when the razor is placed in the Clean & Renew System. You also have the option of using the supplied cord that plugs directly into the shaver. This is very convenient when traveling as you don’t have to carry the charging station along. Another bonus point is that the 790cc can also be used while plugged in. The wet & dry siblings of the 790cc, like the Series 7 799cc or the 7865cc cannot be used while charging. The automatic voltage adjustment (100-240V) means that you can use it anywhere in the world and being a Li-Ion battery, you won’t have to worry about fully discharging or overcharging it. One of the things you can do to ensure a quality shave and to maintain your razor in top shape is to properly clean it after every use. And with the Series 7 790cc, you can do it either manually or use the automatic cleaning station. With the shaver switched on, the shaving head can be rinsed directly under running tap water. For more effective cleaning, it is recommended to use some liquid soap as well. Another option is to use the included brush to clean the inner area of the head. In order to do that, you must remove the foil and cutters assembly. You should not use the brush for cleaning the foil and cutters directly as they can be easily damaged. 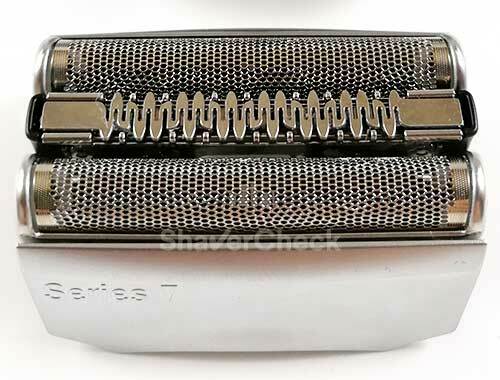 However, Braun shavers are notoriously more difficult to clan manually due to the design of the shaving head, called a cassette. The cassette integrates the blades and the foils into a single piece and they cannot be separated. As a result, getting all the dirt and hair clippings out is fiddly and takes more time. Luckily, the 790cc comes with an automatic cleaning and charging station. This unit automatically cleans, lubricates, charges and dries the shaver. Simply put, it is one of the best and most effective cleaning stations out there. Compared to the ones from Panasonic for example, it is quieter and faster (approximately 30 or 40 minutes for the cleaning and drying cycle, depending on the program). By using an alcohol-based solution, it is also very effective at cleaning and sanitizing your shaver. The shaver features a hygiene indicator alongside the one for battery status. When it is hygienically clean, all the 6 segments are shown. After every use, one segment drops and it will only go up if you use the cleaning station, no matter how effective your manual cleaning is. Since the shaving head assembly can’t be taken apart like on some other shavers, you can’t really clean it thoroughly just by quickly rinsing it. Braun recommends an automatic cleaning after every use, but you can get away with using it a lot less. 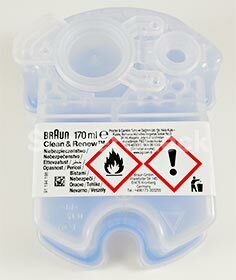 When not in use, simply remove the cartridge from the station and put the cap back on to avoid the evaporation of the alcohol fluid. When placing the razor in the station, it will automatically select the appropriate program depending on the hygiene status. There are three options available: short economical / normal / high intensive. The LED indicators show you the level of the current cartridge and the type of cleaning that will be performed. A full cycle that includes cleaning, lubricating and drying your razors takes about 30 to 40 minutes. In the first part of the process the shaver will switch on and off. The drying phase is completely silent as the station uses induction heating to dry the shaving head. With the Series 9 for example, Braun decided to use a fan (which takes longer and also makes some noise). There is also the FastClean feature (25 seconds) that only cleans the razor without drying it. The cleaning stations that come with the Series 7 are in my opinion the best that Braun has ever made. UPDATE 2018: Braun dropped the induction heating system and the quick cleaning mode for all the stations that come with a Series 7, 790cc included. Unless you can grab a previously manufactured model, you can’t get induction heating with the current shavers. Keep in mind that alcohol tends to evaporate pretty quick, so you’re not going to use the station for a longer period, remove the cartridge from it and put back the cap. Right, let’s get to the most important part of testing the 790cc, the actual performance. The shaving experience with the Series 7 790cc is one of the best you can get with an electric shaver. There’s no way to put this any other way. The shaver is particularly impressive when it comes to comfort, but the closeness is more than adequate for an electric shaver as well. The 790cc is also pretty good at cutting hairs that lie flat on your skin or that grow in different patterns, so you can get very good results even on a two or three days beard. Anyone that has some experience with electric shavers knows that this is their Achille’s heel. By using the combo of micropulsations, specially designed middle trimmer and foil, the 790cc manages to perform better than most other shavers. No, it’s not quite as good in this regard as the Series 9 or an advanced rotary shaver like the Norelco S9000 Prestige, but it’s definitely one of the better foil shavers when used on longer facial hair. The slim head also makes it very maneuverable as opposed to other models that some may find a little bit unpractical due to their sheer size. I’m talking about shavers like the Panasonic Arc 4, Arc 5 or even Braun’s very own Series 9. When shaving with the 790cc it’s important not to apply too much pressure, but let the shaver glide on your face. However, since the 790 is so gentle and forgiving, you can get away with that. The only areas that may require a couple of additional passes are right below the jawline or the neck especially if your hair tends to grow in different directions. It’s nevertheless a top performer when it comes to comfort: no pulling or tugging even when shaving every two or three days. The long hair trimmer is also pretty good for light grooming and trimming. Using the 3 personalization modes doesn’t seem to make any difference at all. Moreover, the Sensitive settings just make the shaver feel slow, so you should shave with the highest power setting at all times as the 790cc remains perfectly comfortable. Overall, a stellar performance from the Series 7 790cc. When the foil and cutters assembly has worn out, a replacement indicator will show on the display of the shaver (after approx 18 months). It will light up for the next 7 shaves and then it will reset automatically. You can reset it manually by pushing the reset button with a ball pen for 3 seconds. All the Series 7 models, including the 790cc in our review use the 70s (silver) or 70b (black) cassettes. The cleaning cartridge must be replaced when the level indicator on the station blinks red. The cartridges can be bought in packs of 2, 3, 4 or 8 refills. Both the cassette and the cleaning cartridges are widely available. However, you can save a lot by opting for one of the cheaper third-party cleaning solutions. It goes without saying that men who want one of the most comfortable shavers should definitely consider the 790cc. It is equally effective at shaving coarse and soft hair. Men with sensitive skin that suffer from breakouts, irritation or ingrown hairs should also consider this razor for their next upgrade. It is also quieter than most other foil shavers, so if noise is an issue you will appreciate the low humming of this razor as opposed to the loud, high pitched noise of others. It’s still not as quiet as a rotary razor, so don’t expect anything magical in that regard. 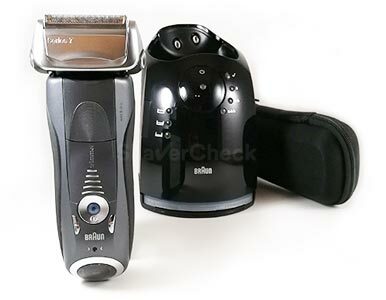 The 7865cc from the updated Series 7 line is a very similar electric shaver. The main differences are a new grey color treatment, wet & dry use, updated LCD display and 5 personalization modes (as opposed to only 3). As I mentioned in the review of the Series 7 7865cc, its shaving performance is excellent, maybe even slightly better compared to the 790cc thanks to that Turbo mode that is presumably 12% more powerful. Being a newer model, the automatic cleaning station lacks induction heating and quick cleaning, but so does every Series 7 station currently manufactured. However, the main reason to buy this one instead of the 790cc is the price. Despite being a newer release, it can sometimes be found for less money than a 790cc. Keep in mind though that it only works cordless as a safety precaution. The Braun Series 5 is a more budget-friendly alternative to the Series 7. With an almost identical shaving head, it offers a very similar shaving performance, but at a lower price. The Series 5 5090cc / 5190cc (black & blue version) is a model that comes with an automatic cleaning station and is suitable for dry only use, just like the 790cc in this review. So if you are on a tighter budget and the Series 7 is looking like a very suitable option, definitely check out the Series 5 as well. For more details here is my complete review of the Series 5. Considering the price and performance, the Arc 4 line from Panasonic is the direct competitor of the Series 7. Both families have their own strengths and shortcomings as we’ve seen in the direct comparison of the two. However, when it comes strictly to the closeness of the shave, the Panny has the edge. 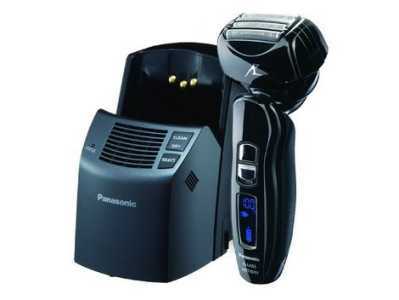 The ES-LA93-K is a 4 blade wet & dry electric shaver that also comes with a cleaning station. So if closeness is particularly important to you and you don’t suffer from sensitive skin — Panasonics can be a bit aggressive compared to Braun — then the ES-LA93-K is probably a better choice. Do you leave razor in docking station, plugged in all the time? you can leave the razor in the docking station as it will switch to a stand-by mode 10 minutes after the charging is complete. Does the clean and renew solution last longer if i leave the cleaning unit plugged in? Reason im wondering is i unplug the unit from the wall after cleaning cycle is complete. it doesn’t make any difference if the cleaning unit remains plugged in. As I mentioned in the article, one thing that does help in this regard is removing the cartridge from the unit and putting the cap back on. The solution is alcohol based and will evaporate pretty fast. Why is my clean & renew station making weird noises? It is already a couple of years old. it’s very difficult to find the cause of the noise just from the description in your comment. It could be an electric hiss – the station uses induction heat during the drying phase – or a some component becoming loose and causing loud vibrations when the razor is turned on for cleaning. I do not have actual hands on experience with dissembling a clean & renew station, so I am not qualified to give you more precise information. Your best option would be to search for an authorized Braun service center near you and send them the station. 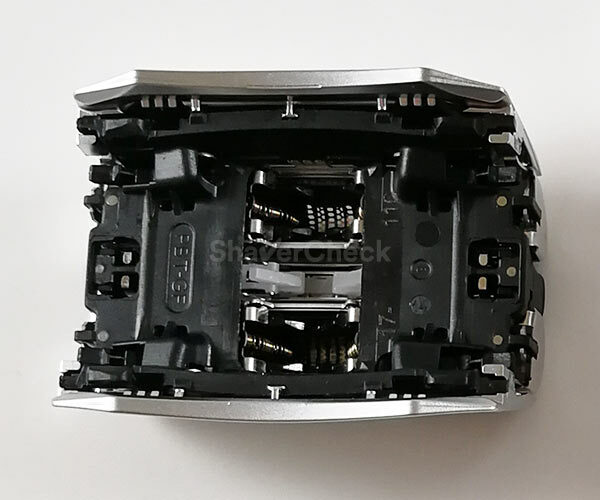 I got a 790cc and I notice that after finishing the cleaning process, and sometimes the morning after, the foil cutter of the shaver is still wet, is that normal? In the past they tend to evaporate all cleaning residue with a little heat…any advise? that is definitely not normal as the shaver should be completely dry after the cleaning cycle. The station uses induction heat to dry the shaver. If the foil is still wet, then there’s something wrong with your cleaning station. If your unit is still covered by the warranty I highly recommend sending it for repairing. If the warranty has expired, then look for the closest authorized Braun service and contact them about your problem. Do not use your shaver while it is wet as it’s designed to perform optimally only when it is completely dry. 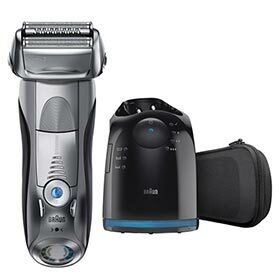 Hi, I have just bought a 790cc so can you tell me should i charge the shaver and the station overnight or what is the best way to charge from the start ? There is no need to charge it overnight at it uses a Li-ion battery. Simply connect the shaver to an outlet using the included cord until the battery is fully charged and you’re all set.